1. Telling it like it is. 2. When you were joking but also kind of not joking. 3. When you tried to be one of those obnoxious healthy people but then failed. 4. When you realized how much one letter could change everything. 5. When things start to mess with your head. 6. When you realized you might have been missing something. 7. When you celebrate the little things. 8. When you took drastic steps to remove temptation. 9. And tried to pass it off to someone else. 10. When you are just counting the days. Day 15 without soda. The struggle is real. #needcaffeine #gettinghealthy #feelingaccomplished. 11. When you knew what the real secret is. 12. When you resist junk food even when you don’t have to. 13. When you get all determined again. 14. And then when you just want something bad for you so much. 15. When you asked the real questions. 16. When you start changing your mindset. 17. When the despair hits. 18. When the small victories get bigger. 19. And when you realized what the big deal was about this whole “being healthy” thing. 20. And when the benefits speak for themselves. #Dieting is the only game where you win when you lose! 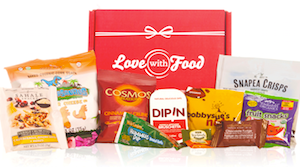 How do you feel when you’re trying to eat healthier? Tell us in the comments below! 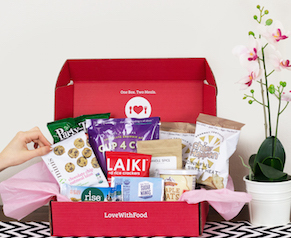 And remember, for better-for-you snacks every month try a Love With Food subscription!